In her latest book, “Would You Do That to Your Mother? The ‘Make Mom Proud’ Standard for How to Treat Your Customers,” customer experience pioneer Jeanne Bliss saves companies from their worst behaviors and brings out their best with one simple test for everything they do: When making any customer-facing business decision, pause, think about what your mom means to you, and imagine how it might impact her. If you wouldn’t do that to your mother, don’t do it! In the following Q&A, Bliss offers insightful advice on why this simple question can drive significant customer-centric change, and why it became the focus of her book. Despite good intentions, why do so many companies end up annoying customers rather than delighting them? Bliss: Companies don’t deliberately fail to show compassion or show up as a company that cares. However, we build processes and actions to execute tasks freely. And while everyone may execute their task perfectly, the human may get lost in the equation. For example, in a hospital, someone wheels your mom from her room to the outside of an exam room and drops her off until the tech comes out to greet her. She is wheeled in and treated, then moved her back into the hallway. She waits in the hall a third time for someone to wheel her back to her room. Each of these people did their job, but your mom’s emotions and dignity weren’t factored into the process. This kind of oversight often happens in business. In addition, some companies may fail to prioritize hiring. They may pen people into rules that don’t let them use their judgment or require them to uphold inflexible rules or policies. They miss that their people could be delivering memories, instead of just executing processes. So, nothing deliberate. Most companies are made up of good people, and some just haven’t yet built actions of care into how they do their work. When business people ask the question, “Would you do that to your mother?,” how do you think it impacts the way they show up to their customers, employees or other stakeholders? Bliss: We need to take how we treat our customers personally. Considering our moms at the end of our decisions helps us to get there. It is a simple way to bump us out of our ways of doing business as usual—by imagining someone important to us and how they would respond and feel to guide our actions and behaviors. It can make us pause and think. Why is this deceptively lighthearted question actually very urgent? Bliss: Customers of every category and age group are now increasingly making critical decisions—of both their initial purchase and whether they stay or leave a company—based on the humanity of an organization. What are some of the worst company offenses that would make any mom want to “wash out their months” with the proverbial bar of soap? Bliss: Think of your life as a customer. What makes you nuts as you are working with a company? These “bar of soap” moments (when companies fail to honor our time, bounce us around departments, make us repeat our information and otherwise fail to keep us informed) tend to bind us together in our lives as customers. Most offenses stem from companies operating on “company time” vs. “customer time,” neglecting the importance of their customers’ time. Why is a make-mom-proud approach to your customers just as important to CEO strategy as it is to frontline service employees? Bliss: Customers make decisions about the “kind” of company they are working with based on their connections across the entire organization. This is a companywide effort to be deliberate about what kind of organization you want to be. Across every operation: how you develop and roll out products, how you establish policies or the terms of your warranty, how you sell your products or services, how you communicate and your return policy; all can beneﬁt from this “Mom Lens” to determine your direction. And of course, how you enable your people to deliver value and feel valuable is a key part of this effort. Enlightened companies know that how they show up must be consistent throughout the company in terms of behavior and actions across the customer and employee journey. How would you define a “make-mom-proud” company? Bliss: Make-mom-proud companies find members whose upbringing and values align to what they want their company to stand for. And then they enable them to bring that version of themselves to work. Selecting who will, and will not, become members of these companies is Job #1. But after that, the focus is to help them to prosper, enabling them to achieve and be true to how they were raised. They tackle the processes that get in the way of people delivering good experiences, which they are trained and invested in. Care is foundational to how they grow. Human needs prompt innovation. Teams unite. The front line is prepared and trusted to extend grace when warranted. They bravely blaze a trail to forge balanced relationships with customers, walking away from legacy practices that might feel imbalanced to customers. And they start with customers’ lives, with the goal of designing how they will operate. Companies must enable customers and employees to prosper. Bliss: People are hired for their values, empathy and ability to make a good decision, and are rewarded for doing just that. They nurture memory creators who take joy in their work. And enable people to thrive. For example, Pal’s Sudden Service hires frontline employees flipping burgers and serving meals through their drive-up window based on a 60-question psychometric survey so they “get to know the human” behind the resume. That is common among these companies—they make hiring their most important decision because they know the root of their company stems from the people who represent their values. 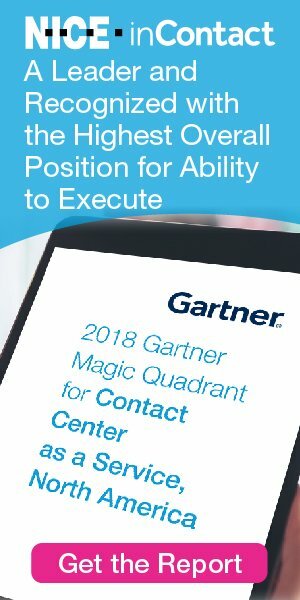 What steps would you recommend to organizations looking to become “make-mom-proud” companies? Bliss: It starts with the high-level attitudes that exist in elevated companies: Begin with your customers’ life as the starting point for your mission; asking why you’re in business and how you deliver. This informs how you communicate, prioritize and operate as a business. Next, l urge leaders to free themselves from silo-driven solutions to problems. Customers don’t live their life in your silos. They live it across your operation. Other steps include: open yourself up to change, rethinking what’s always been done; trust your customers, questioning those rules created to protect a company from them, vs. building a balanced relationship with them; and trust your employees, removing the barriers that prevent them from exercising their good judgment. What are some common customer experience shortcomings you see companies struggling with, and why might they fail to deliver in those areas? Bliss: Nearly everyone experiences these common moments in their lives as customers: unwieldy paperwork filled with company “jargon” being passed from person to person, reintroducing themselves and reminding different company members about their last call and why they’re calling again; companies that make customers jump through hoops to find information or solve basic problems or making customers advocate for themselves. Broader challenges include being driven by financial incentives, sometimes prioritizing sales over “earning the right” to a customer relationship. Also, balancing high-tech with high-touch, not letting an “app” or tech solution replace a human part of the customer experience. The human investment is a key to the equation, especially where customers opt out of self-service to get help. Companies grapple with these and other experiences that challenge customers. How can companies create, not just customer-centric experiences, but customer-centric cultures? Bliss: This is about starting with the customers’ and employees’ lives, then redesigning and enabling the company to deliver value. Easier said than done: Hundreds of actions define the lives of customers. Understand what this type of company does and how they do it, and then evaluate your own organization with the “mom lens” to find easily implemented actions. The key is to take one action at a time, stay the course and truly commit to a customer focus. What can a leader or frontline service provider start doing tomorrow to improve their organization’s customer experience? Bliss: Many simple actions can elevate people in their role and improve experiences. But a few actions have immediate impact. For example, hire the right people, those who can think past rules, processes and actions that repel customers. Empower teams to become “memory makers,” giving customers a memorable experience. Elevate each team’s purpose past their daily function (i.e., operator, salesman, receptionist) and keep eliminating any rules that get in their way of delivering value. To read more about “Make Mom Proud” companies that excel at living their core values grounded in what we all learned as kids, download the first chapter of Jeanne Bliss’ book, Would You Do That to Your Mother? Pipeline readers who purchase 10 books will get a free 1.5-hour huddle with Jeanne and your team to diagnose where you are now and plan your actions to accelerate your culture and customer experience work. For more information, email Jeanne at jeanne@customerbliss.com.